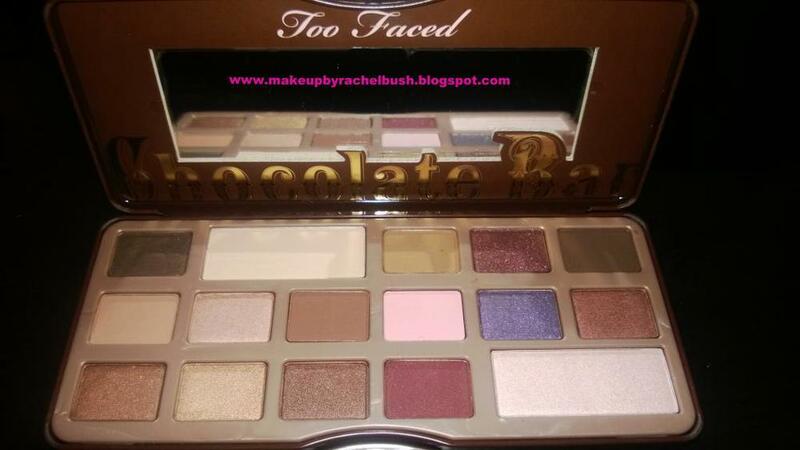 Too Faced Chocolate Bar Palette...This has to be one of my favorite of all time palettes! I've seriously packed away all my other palettes and have used this one every single day since I bought it...which was about two weeks ago. It contains 16 beautiful eyeshadows, and I love that the palette contains mainly neutrals, and even the ones that are considered "color" aren't super crazy, can't wear everyday colors. I love that there is a nice mix of matte and shimmery eyeshadows, only 2 glitters and the glitter is fine not super chunky. This palette is great for any type of makeup application...bridal, going grocery shopping, hanging with friends, hitting the clubs, date night...it'll cover any occasion/event. From now on (until something better comes along), this will probably be the only palette I take with me when I travel. That being said, I understand the cuteness of "chocolate bar" and making the palette look like a chocolate bar, but it is a little bulky. But really, who cares. And the eyeshadows do smell like chocolate because they are formulated with cocoa powder, which I find a little strange and at first didn't want to purchase this palette because I didn't want my eyes smelling like chocolate...but again, I got over it because the shadows are just so gorgeous. Who doesn't like chocolate anyway? I can't rave enough about this palette! 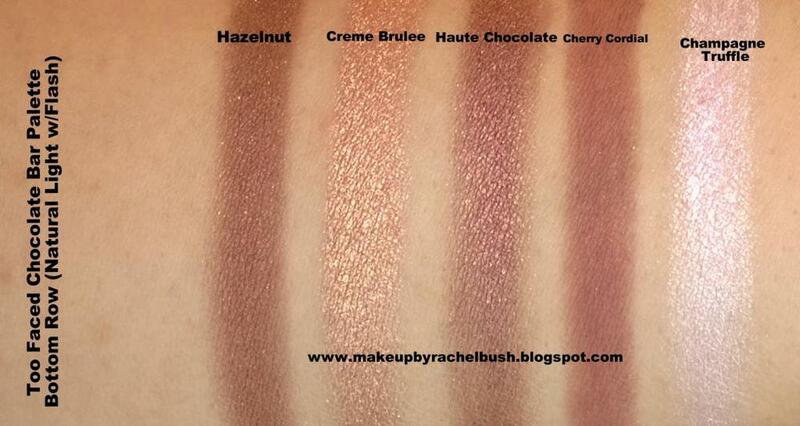 Like always, the pigmentation is amazing, especially with the satin eyeshadows. The lighter mattes and glitters need a few layers to show up really well, but that's true of most lighter mattes and glitters. Application is smooth and the shadows themselves aren't too soft either, which I've had a lot of issue with other palettes. They're soft enough to pick up color easily, but not so soft you get a ton of fallout and excess shadow all over your palette. And, whoever came up with the names of the individual shadows is very clever cause they all sound delish. Anywho, here's the swatches. This palette deserves an A+++++++ in my book! Here's a couple before and after pictures of my brides from this past weekend! My bride P isn't getting married until March but this is the look we decided on at her consultation. Isn't she just gorgeous? This was the final look for my bride K on her wedding day. She's just beautiful! Both of these pictures were taken with the camera on my phone and flash. No retouching to either picture as well. The foundation in both pictures is also airbrush. More to come! Looking for makeup ideas for your big day? 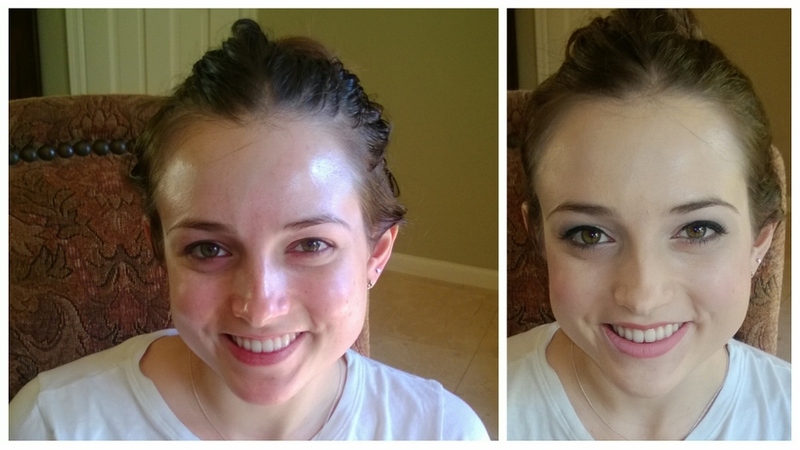 Check out my Pinterest board full of beautiful bridal makeup ideas! All eyes are on the bride on her wedding day. Everywhere there are cameras flashing and hundreds of pictures are taken, and you want to look radiant and beautiful in every one. Here are a few tips to put into play before the big day so you can relax while walking up the aisle knowing you are stunning. *If you want to glow, you need to feel it. Begin a stress relief program six months prior to the date. Take time out to do something non-wedding related. Do Yoga, read, exercise; anything you enjoy to put your mind at ease and keep stress to a minimum. *I cannot stress the importance of taking care of your skin. Start a simple skin care routine and stick with it. If your budget allows it, get monthly facials to rejuvenate and deep clean your skin. Ideally, it’s best to get facials done beginning six months prior to your wedding to a week beforehand. DO NOT get a facial less than a week before your wedding. Facials are meant to deep clean your pores and bring all dirt, oil, and toxins to the surface for easy removal. Because of that, some people experience flare ups, bumps, or redness right after the facial. Allow at least a week for your skin to recover. Same goes with waxing. Also, DO NOT start using new skin care products in the few weeks prior to your wedding. You never know how your skin is going to react to a new product, and you don't want any surprises because of some unknown allergy leading up to your day. Stick with products you know and love. *Make sure you book your hairstylist and makeup artist well in advance and have trials with both. Take pics of hair and makeup you like to your appointments, as well as your dress, and wedding colors so the stylist or artist can have a better idea of how you want to look that day. 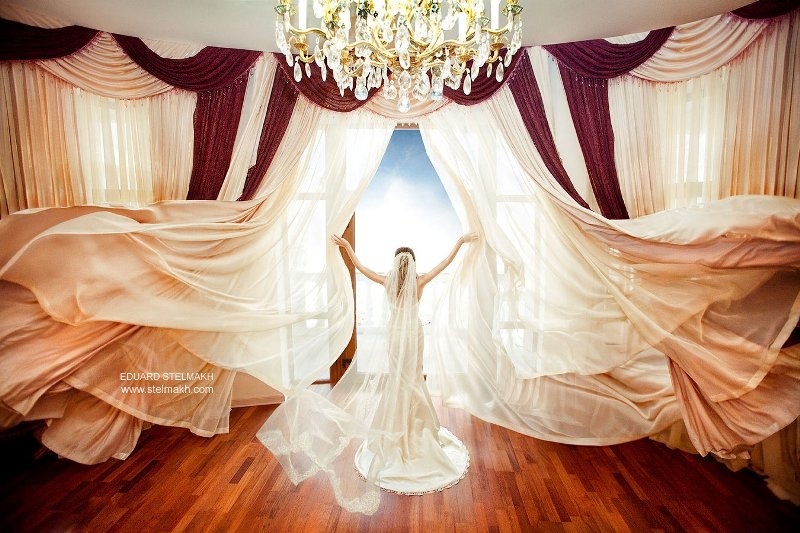 That way, you can relax on your wedding day knowing exactly what you’ll look like. *On that note, don’t make any drastic changes to yourself immediately preceding your wedding. Make sure you have enough time to undo whatever you did if you so choose. Don’t cut, color, or style your hair differently right before your wedding, unless you're absolutely sure you'll love it. Lots of brides also tan before their wedding which is fine, however I recommend airbrush tans. Being in the sun you risk burns, skin damage, and skin cancer. Nothing worse than being red and burned in your wedding dress. Airbrush tans look natural and are safe and gentle on your skin. Increase the color depth of your tan gradually to reduce the risk of orange tans. No one wants to look like an oompa loompa in a gown. *Drink lots of water! Like tons! Being hydrated will help you look better, feel better, and give you more energy. It also keeps your skin clear and radiant. Try to limit your alcohol and sodium intake right before the wedding too. Alcohol will dehydrate you and sodium will make you bloated. Not good. *Make sure you wear comfortable shoes. If you're not used to wearing heels, remember the wider the heel and taller the platform, the more comfortable the shoe will be. If you're not the high heel type, flats the color of your bridesmaids dresses or flowers are super cute and chic in my opinion. *Prepare an emergency beauty kit for touch ups and anything that might go wrong about a week before the wedding. Be sure to include: Bottled water, aspirin, oil blotting papers, lipstick that matches the color you’re wearing, band-aids, breath mints, chalk for covering smudges on your dress, clear nail polish or hairspray run stocking runs, cotton swabs, eye drops, tissues, hairpins, hem tape, nail file, mirrored compact, safety pins, straws, hand towelettes, and quick drying glue. Entrust this kit to one of your bridemaids the day of to keep on her at all times. Be prepared for any surprises so it won’t ruin your special day. I also suggest getting a relaxing and calming massage the day before or, if you have time, the morning of your ceremony. It’s a great way to prepare for the day ahead. Gotta love a wedding photo that's not of the norm. 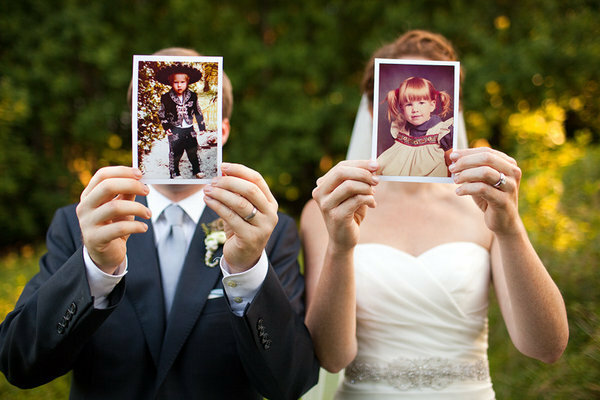 Here's a few gorgeous, funny, sweet, cute, and awesome wedding photos I love that you don't typically see. 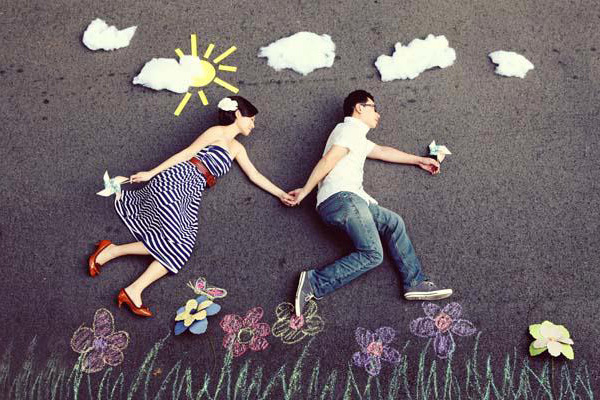 This one is actually an engagement photo, but I love the balloons and the pose. I don't see enough balloons in pictures. Who doesn't love balloons? Another engagement photo. So cute! 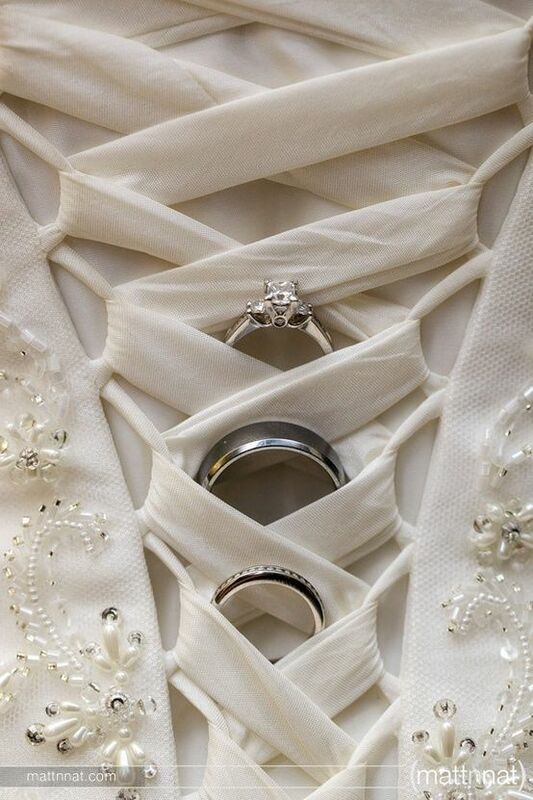 I don't even know where to start with this ring shot...the dress detail? the perfectly laced ribbon? the gorgeous dress color? sparkle offsetting sparkle? just stunning. Ok...so this one isn't really "original" but I like their signs and that they're walking hand in hand. Super cute! 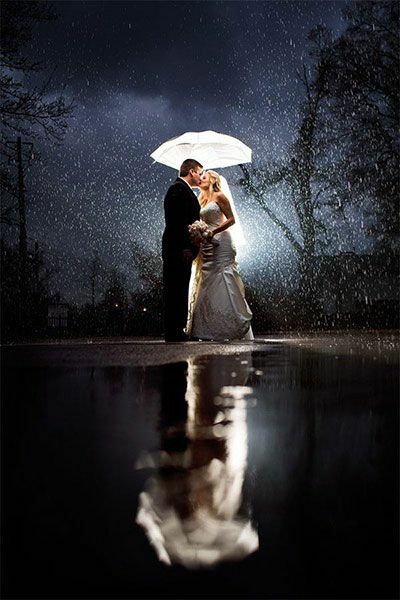 Doesn't this photo just make you wish for snow on your wedding day? So soft and beautiful. I'm into Superhero's and such, so this is just awesome! This is actually an image from a wedding I did makeup for. I love the light fixture, love the tub, love the light coming in thru the window. Exquisite! How did you and each of your bridesmaids meet? Such a cute idea! This photo is absolutely breathtaking! 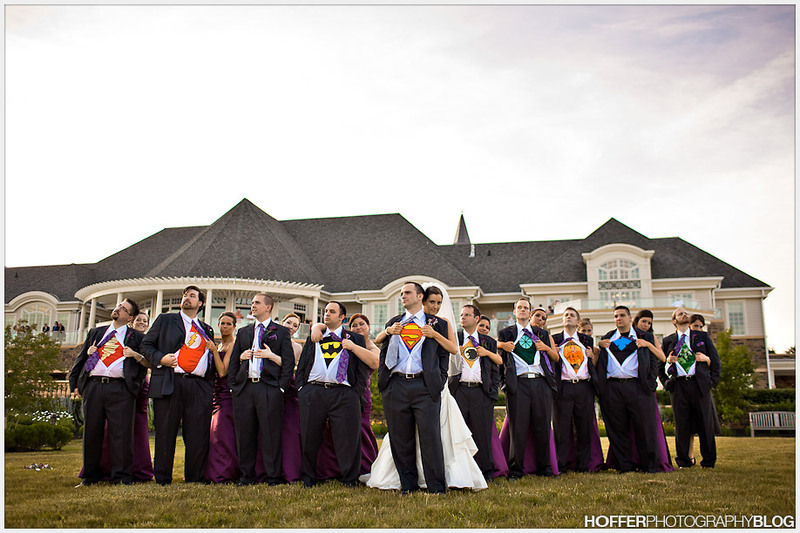 Let the wedding guests get in your photo fun too (providing they are appropriately dressed)! Pretty, pretty! My favorite! This is so cute, so original, so cool! This is one fun bride and all her friends are awesome!